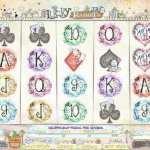 Lucky Rabbit’s Loot is a beautifully designed video slot game from Microgaming. Every symbol is carefully crafted with some interesting animations above the reels. This game is a breath of fresh air, definitely something we have not seen before. Most online games use vibrant colors and contrasts, and I have to say that these pastels make this game stands out from the crowd and catches the eye. I believe this is the most important part of every game because most of the times we decide to play a game because we are drawn by a symbol or a theme. Lucky Rabbit’s Loot has 2 special symbols the wild and the scatter. 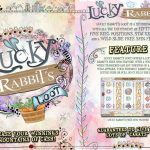 Lucky Rabbits Loot is the scatter and you need to land 3 symbols to activate it, and for that you will receive 8 free spins. At first this may look like any other free spins feature but it is not like that. There are stacked wilds during the free spins and if a wild appears on the reels it will expand and cover the whole reel. This is where the creative minds of the game prepared another surprise for us. The stacked wild will spell the word “Wild” with every letter written in heart. During the base game the wild substitutes for other symbols in order to complete a win, except for the scatter. 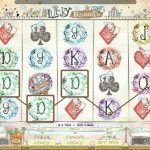 Microgaming always surprises us with games that are so creative and out of the ordinary and that is the case with Lucky Rabbit’s Loot too. Some might say that all those pastel colors were used to attract more women punters. The idea itself is not bad and we have to say this is one heck of a game that is appealing to everyone. If you like slots with huge jackpots then you should consider playing Reel Gems a 5 reel slot by MicroGaming.